Hard to compete with, NetEnt always brings its players the best casino online gaming experience possible. The Jungle Spirit™ slot, launched in March 2017, is just one of the many examples as it brings you an innovative video slot that takes you into the deepest of the jungle. Selecting the Jungle Spirit™ slot for the Wonderful Wednesday, giving away 50 free spins for the jungle-themed game, I’m sure All Irish Casino is making your Wednesday as wonderful as can be. 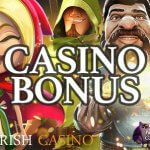 New to All Irish Casino, you have two casino promotions waiting for you. 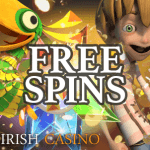 First, you’ll receive an amazing 22 free spins straight after you’ve finished your registration. This means that no deposit is involved yet, but you still receive 22 free spins for Aloha!™, Starburst™, Pyramid™, or Jackpot 6000 Touch®. And that’s just the beginning of your adventure at the most popular Irish online casino. It’s after you’ve made your first deposit you’ll receive a 100% match bonus which simply means that All Irish Casino will double your first deposit. Pretty special about this welcome offer is that the maximum amount you’ll be able to receive is an incredible €500. Hardly ever seen in the industry, I’m sure many of you will appreciate a 100% welcome bonus up to €500 bonus. o €500 while the next Wonderful Wednesday is just around the corner giving you a chance to collect another 50 free spins, this time for the exciting jungle-themed NetEnt slot Jungle Spirit™. How to make your Wednesday Wonderful? Wednesdays aren’t that bad in general and I’m sure many will be happy that this day cuts the week in half with the weekend coming closer. Weekends are great, there’s no doubt about that, but Wednesdays are seriously fun as well. You can always make it as great as you want, but All Irish Casino could help you with that. With the Wednesday around the corner, you might want to know what All Irish Casino has in mind for you this Wednesday. It’s huge, I can promise you that, simply because the Jungle Spirit™ slot is one of the best games launched so far in 2017. It offers you a lot of video slot excitement, the typical entertainment the average slot player is looking for. It has everything from a great design to an exciting gameplay and slot features. Innovation is definitely a keyword when describing the Jungle Spirit™ slot, one you won’t miss out on if you’ll be able to collect an incredible 50 free spins. So that’s how you can make your Wednesday as wonderful as can be at All Irish Casino. No matter if a new player or an existing player at All Irish Casino, you’re always welcome to join the Wednesday fun. 50 free spins for the Jungle Spirit™ slot is definitely a way to spice up your Wednesday. 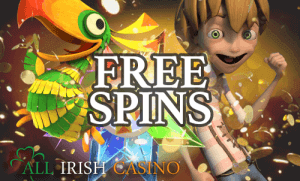 Although you might think that the word “wonderful” makes tomorrow such a wonderful day or the number of free spins for Jungle Spirit™, I personally think that the most wonderful thing about this casino promotion is the fact that a deposit of €20 is already enough to activate the 50 free spins. That’s a generous offer I can tell you, one I can highly recommend as it’s not often you receive so many free spins with such a low minimum deposit. 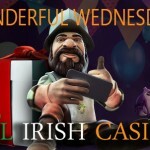 Do yourself a favour and make your Wednesday wonderful while enjoying all the great stuff All Irish Casino is offering including the entire NetEnt Games suite, the most popular software developer in the industry. All Irish Casino is also bringing Irish players a casino place to feel at home with the flag colours integrated into the website’s design. 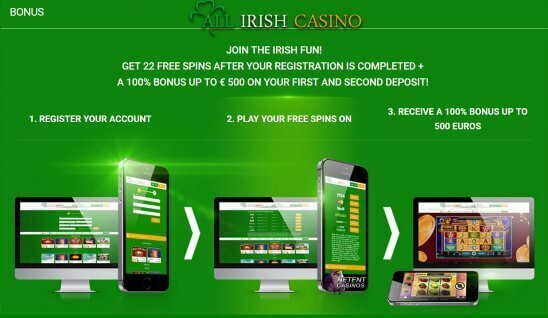 So, make yourself at home at this Irish NetEnt Casino and join the Irish casino fun today!